The excitement has been brewing for a while now and finally, all the hard work behind the scenes has paid off. I am delighted to share with everyone the cover for an anthology by The Romaniacs (that’s my writing group and lovely ladies). Romaniac Shorts is a diverse collection of short stories and flash fiction, ranging from romance, to crime, to fantasy, and we are thrilled to see a long held idea come together. 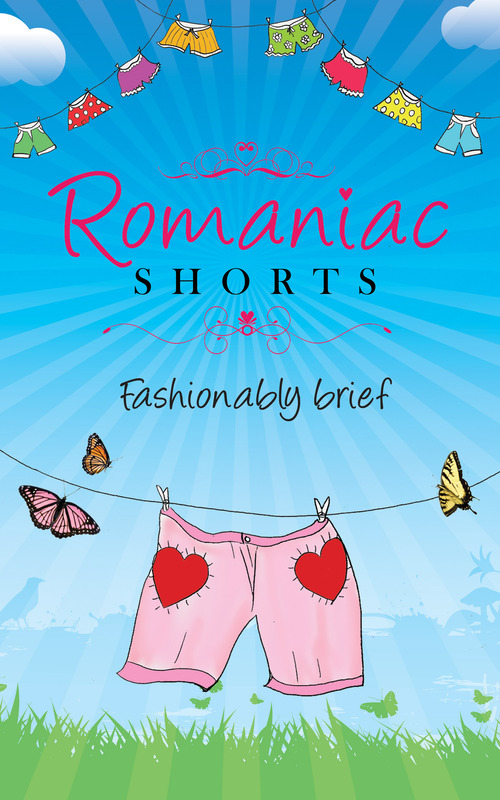 Romaniac Shorts is due to be launched next week, Thursday 13 February, to celebrate our two years of blogging together. It will be available to download through Amazon and all proceeds are to be shared between Dyslexia Action and the RNA. This entry was posted in Book launch and tagged anthology, Cover_reveal, Flash_Fiction, Romaniac_Shorts, short_stories, Sue_Fortin, The_Romaniacs on 06/02/2014 by suefortin. That looks lovely! Great cover! Thank you. Our very own Romaniac, Vanessa Savage is a graphic designer and she has done us proud. How brilliant is that cover? Fab title…I love it! We have our in-house graphic designer and Romaniac, Vanessa Savage, to thanks for the fab cover. Thank you! We are all ever so slightly in love with it.